This statistic displays a ranking of highest earning celebrities under 30 years of age between June 2017 and June 2018. 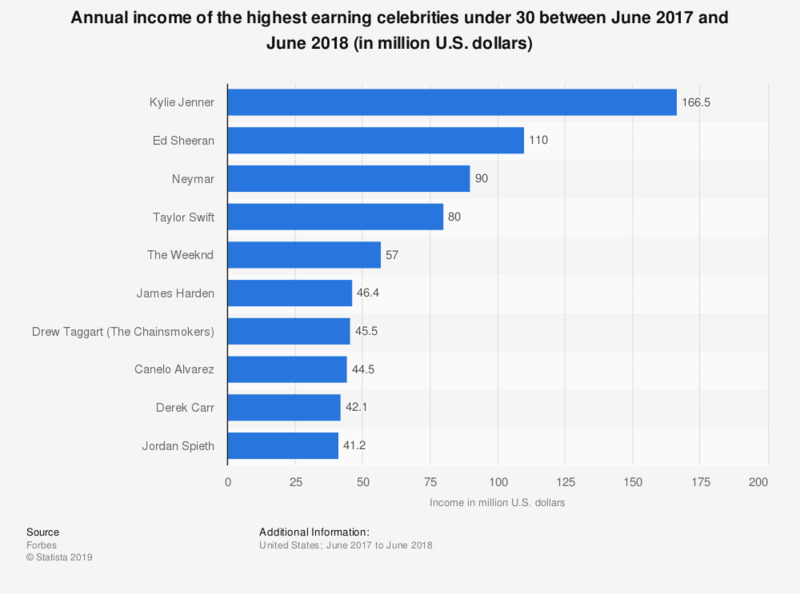 In that period, Kylie Jenner was the highest earner, with an income of 166.5 million U.S. dollars over the reported 12-month period. * The figure reflects earnings of the whole group of performers. The source bases the figures on research from the Celebrity 100. Earnings estimates reflect entertainment-related work. Taxes, management fees or the other celebrity expenses are not deducted.